NEW YORK, May 8, 2014 /PRNewswire/ — This sugaring season, more consumers in North America can enjoy NAPSI-certified pure maple water. Developed and exclusively available in Canada last year, the NAPSI certification is the only quality seal to date ensuring consumers get the authentic sugar bush experience. Now in its second year in Canada, a few NAPSI-certified brands are expanding distribution into the U.S. Available on Amazon.com, WAHTA is the first brand available nationwide carrying the NAPSI seal. It follows on the heels of SEVA, the very first NAPSI-certified maple water available in the U.S., which is sold in select Whole Foods markets. The Federation of Quebec Maple Syrup Producers developed the NAPSI seal, which describes a production process that preserves the real taste and quality of maple water from Canada. “It is the first quality seal on the market that guarantees you are drinking 100 percent pure, authentic maple water with all of its natural components,” states Simon Trepanier, Executive Director of The Federation. Unlike other maple water offerings currently available in the U.S., NAPSI-certified maple water is unrefined and preserves not just some, but all of the original characteristics of maple sap. NAPSI is an acronym for natural, authentic, pure, sterile and integral, and is used to certify pure Canadian maple water that has been sterilized and contains no chemical preservatives or additives. The NAPSI sterilization and packaging techniques preserve maple water’s original translucent, water-like color, its fresh taste and healthy properties for 18 months at room temperature. Maple water is another term for maple sap, the clear liquid that flows naturally through sugar maple trees. Maple syrup, on the other hand, is a concentrated form of maple sap, and the result of evaporating water from the sap until it reaches the consistency of syrup. Forty gallons of maple sap make one gallon of maple syrup. Maple water is a healthy choice for hydration because it contains all of the same unique benefits of a natural product that directly comes from a maple tree. These include 46 unique bioactive compounds, some of which have antioxidant properties, as well as beneficial minerals including potassium, manganese and zinc. Maple water is naturally low in sugar and has only 20 calories per serving size (8.45 oz. or 250ml), compared to an average of 50 calories for the same serving size of coconut water. 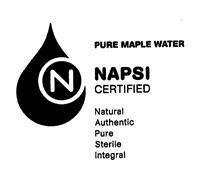 NAPSI-Certified Brands in the U.S.
For more information about maple water and the NAPSI certification, please click here. Founded in 1966, the Federation of Quebec Maple Syrup Producers is driven by its mission to defend and promote the economic, social and moral interests of 7,300 Quebec maple syrup businesses and to develop initiatives to collectively market their products. Today, Quebec produces nearly 75 percent of the world’s maple syrup, and 93 percent of the total Canadian maple syrup supply. Ontario, New Brunswick and Nova Scotia contribute seven percent of the total Canadian production. The Federation is proud to lead the International Innovation Network on Maple Products from Canada in the name of the entire Canadian maple syrup industry. 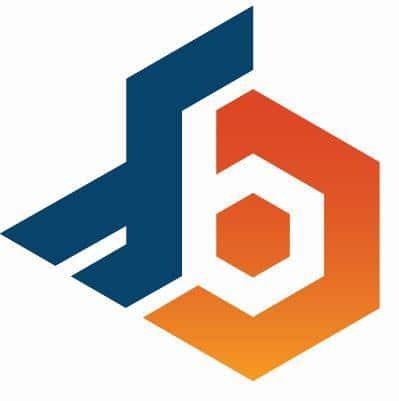 This certification is available for national and international distributors who meet the requirements of the certification. So far, the only brands with NAPSI certification are WAHTA, Seva, OvivaTM and Maple3.